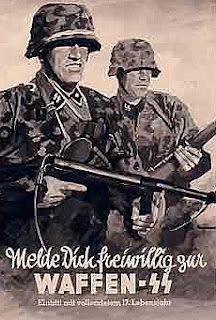 No sooner had U.S. and Soviet troops shook hands and embraced at Torgau on the River Elbe at the close of World War II in Germany, the forerunner of the Central Intelligence Agency (CIA), the Office of Strategic Services (OSS), was already lining up the support of Ukrainian allies of Nazi Germany to target the Soviet government in Kiev. The details of the establishment by the OSS of an anti-Soviet infrastructure that included Ukrainian Insurgent Army (OUN) followers of Adolf Hitler ally Stepan Bandera are contained in a formerly "SECRET CONTROL" document from October 1946. The document was prepared by U.S. Army Intelligence (G2) on behalf of the OSS. The following year, the OSS officially was transformed into the CIA. The report, titled "The Ukrainian Nationalist Movement: An Interim Study," was prepared by William Holzmann and Zolt Aradi. Little is known about the two authors except for the fact that Zolt Aradi also spelled his name "Zsolt" and was born in Hungary and was a Hungarian historian. The authors cited the Ukrainian nationalist movement as a potentially advantageous ally of U.S. anti-Soviet activities: "Whether these groups operate in the homeland or in exile in Europe and the Western hemisphere; whether they are of socialist, democratic, monarchist or fascist persuasion; whether they agree on methods, policies and tactics, or whether they are engaged in internecine, factional struggles, they all stand for an independent Ukrainian state... They are unified only through their concept of Ukrainian independence and in the face of their common enemies." When one fast forwards to today, the interest of the United States in supporting Ukrainian nationalists, whether they are, like Ukrainian Prime Minister Arseniy Yatsenyuk, beholden to the World Bank and European bankers; like Right Sector chief Dmytro Yarosh and Svoboda leader Oleh Tyahnybok, linked to the cause of fascism; or like Ukrainian oligarch Ihor Kolomoisky, fervently committed to Zionism, has not changed one iota from 1946. Today, like in 1946, the United States sees Ukrainian nationalists as natural allies to confront Russia. However, even in 1946, the United States recognized the fact that there were "two Ukraines." Western Ukraine, which had been Polish, was referred to as "Malopolska," or "Little Poland," in the OSS/Army G2 intelligence report while it was stressed that "Eastern Ukraine" once belonged to Czarist Russia. The report also refers to Ukrainians as "Little Russians" and claims they are "closely related" to the "Great Russians." The report also states that "much of the formative history of Russia took place in the Eastern Ukraine. Kiev, its capital, is the oldest city of Russia, and laden with tradition." The report further states: "Culturally, the Eastern Ukraine, by virtue of its close ties with Czarist and Soviet Russia, belongs to the Russian orbit, while the Western Ukraine was exposed to Polish and Austro-Hungarian influences. In the Eastern Ukraine, the Russian Orthodox Church is predominant, in the Western Ukraine the Uniate or Greek Catholic Church. National consciousness in naturally strongest in the Western Ukraine." Even the OSS and U.S. Army intelligence personnel saw that the West’s attempts to counteract the Soviet Union at the end of World War II could only be successful in the Western Ukraine, where the OUN forces under Bandera and his German Nazi allies had been most successful. The OSS authors of the report recognized that Ukrainian nationalists were split into two camps: "At the outbreak of World War I, the Ukraine and Ukrainians were divided into two parts. The Eastern Ukraine belonged to Russia, and the Western Ukraine [Eastern Galicia] belonged to the Austrian empire which was at war with Russia. Accordingly, the nationalist movements in the Eastern and the Western Ukraine pursued different courses." This is an important admission which has relevancy in today’s discourse on the Western-initiated civil war in Ukraine. The Eastern Ukrainian republics of Donetsk and Lugansk are, according to Western and George Soros-financed propaganda operations, products of the Russian government. However, as stated in the OSS report, eastern Ukrainians have maintained, for at least a hundred years, their own brand of organic Ukrainian nationalism quite distinct from that of western Ukrainians. The OSS report provided some interesting descriptions of the true nature of Ukrainian nationalism but also proceeded to describe the groups and individuals that American intelligence could rely upon to engage in activities intended to undermine the Ukrainian Soviet Socialist Republic in Kiev and the USSR in general. 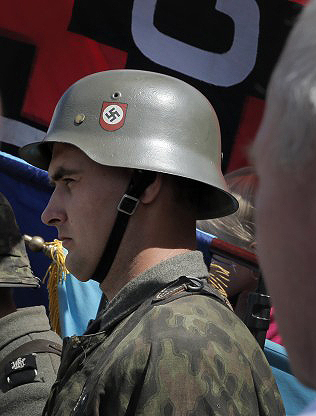 The report describes how Nazi Germany provided early support for the OUN and its clandestine military arm, the Ukrainian Military Organization, or UWO. These radical right-wing Ukrainian nationalists were as much anti-Polish and they were anti-Soviet. The OUN established their headquarters in Berlin and two publications – "Surma" and "Rosbudova Natzi" [Birth of a Nation] -- were financially supported by Hitler’s government and Benito Mussolini in Rome. When a delegation of OUN leaders visited Rome, Mussolini presented them with a yellow and blue flag representing the national colors of Ukraine. The chief of the OUN military branch in Poland was Stepan Bandera, whose "warrior units" in "Danzig, Drohobycz, Lwow, Stanislaw, Brzezeny," and other Polish cities would later provide key support to the Nazi SS units responsible for countless atrocities against Poles, Jews, Roma, and other ethnic and religious groups. In addition to Nazi Germany and fascist Italy, the OUN’s terrorist activities received support from other countries, including the then-independent Baltic republics. Between 1933 and 1934, OUN terrorists assassinated Polish Interior Minister Bronislaw Pieracki; Polish Sejm Deputy H. Holowko; and Alexei Mailov, the Soviet consul in Lvov. Bandera was arrested for the Pieracki murder but others who helped carry them out escaped to Czechoslovakia and were ultimately welcomed in Buenos Aires by the Nazi German Gestapo chief who ran all OUN activities in Argentina, Paraguay, and Uruguay. 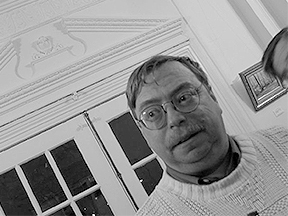 Pieracki’s murderer, Gregory Maciejko, eventually traveled from Argentina to the United States with a Lithuanian passport. Maciejko, along with Christian Zinsser, the Gestapo chief in Buenos Aires, whose cover was German embassy press attaché, was involved in a plot to assassinate President Franklin D. Roosevelt. Zinsser promised Maciejko one million Reichmarks if he murdered President Roosevelt. 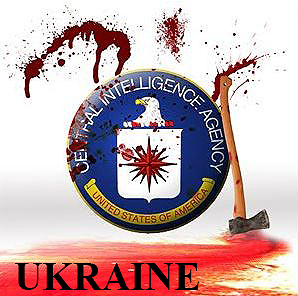 The mere fact that individuals like U.S. Assistant Secretary of State for European Affairs Victoria Nuland and U.S. ambassador to Ukraine Geoffrey Pyatt are now in league with the political and ideological descendants of Ukrainian nationalists who planned to assassinate President Roosevelt in the 1930s should disgust every true and loyal American citizen. After the fall of fascism in Europe, the OSS report makes it clear that contrivances established by the Nazis, for example, the Anti-Bolshevik Bloc of Nations, or "ABN," were natural allies for anti-Soviet OSS and later, CIA, activities in the East. In April 1946, the Nazi-era ABN was re-established under the Ukrainian Supreme Liberation Council in Ukraine (UHWR) headed by General Charlton Popov, the wartime head of an anti-Soviet Cossack group in Prague supported by the Gestapo. Under Popov, he ABN was transformed into a group of anti-Soviet nationalist organizations and the OSS and CIA replaced the Gestapo as their chief benefactors. Joining Popov in the ABN’s leadership was Armenian General Shanayan Dro, a British MI-6 intelligence agent who served as an official of the Astro-Romana Oil Company, and anti-Soviet groups from Poland, Belorussia, Lithuania, Latvia, Armenia, Georgia, Hungary, Yugoslavia, Czechoslovakia, Turkey, and France. Because of its extensive network in Latin America, the OUN was able to assist in the exfiltration from Yugoslavia of Croatian Nazi Ustashe leader Ante Pavelic to Argentina at the end of the war. These clandestine units served as a major basis for the later creation by the CIA of the Gladio "stay behind" network of Western and Eastern European fascist terrorists. Ukrainian Nazi collaborators took up residence in such far-flung places as Chicago, Philadelphia, Boston, Munich, Jersey City, Frankfurt, Paris, Detroit, New York, Vienna, Rome, Bern, Buenos Aires, and Sao Paulo. 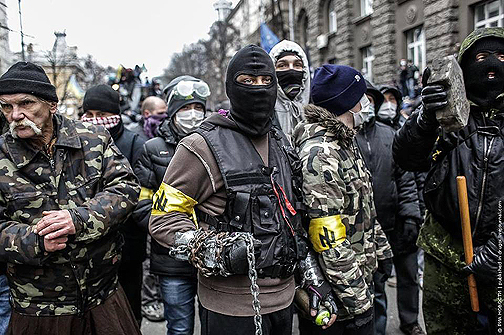 When the Euromaidan uprising succeeded in overthrowing Ukrainian President Viktor Yanukovych in a coup, the family and ideological heirs of the post-war OSS- and CIA-supported Ukrainian Nazi collaborators celebrated as much among the Ukrainian nationalist groups of the U.S., Canada, and Latin America as they did in the neo-Nazi meeting halls of Right Sector and Svoboda in Kiev, Lvov, and other Ukrainian towns and cities.